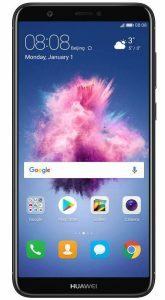 Huawei Nova 2 Lite is a portable an d elagant looking smartphone fromn Huawei that packs Android 8.0 Oreo operating system and a bezel-less screen display.This phone is just the perfect discription of a budget device that has value for money. Lets see of other features of this smartphone. Key features of Huawei Nova 2 Lite . Camera: 12MP + 2MP rear and 8MP front camera. The Nova 2 Lite features an Aluminium Alloy on the design. However, this might not a be a mark of quality but in this vain, it will surely increase its durability. On the screen is a full display of 5.65 inch which is large and will give users a big screen experience. 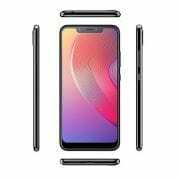 On the screen again, it packs a resolution of 2160 x 1080 Pixels and a density of 427ppi which is another sign of great and quality image on this phone when viewing, reading or watching movie on it. 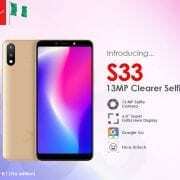 The Huawei Nova 2 Lite has a rear camera of 12MP with an additional snapper of 2MP making it a dual rear set up that is so eager to give you a perfect shots that will bring out high image quality. On the front, it has an 8MP camera for a selfie. The main camera has a LED flash to help brighten up the image when taken in a dim light. There are other features on the primary set up they include, Autofocus, Continuous shooting, Face detection, Geotagging, Wide Angle Images, HDR etc. On the inside is an onboard storage of 32GB which you can also expand using micro SDcard. To give an excellent performance, The Huawei Nova 2 Lite parade Android 8.0 Oreo OS with other features in place to boost the performance. You get a Huawei HiSilicon Kirin 659 64-bit Processor with Octa-core that runs at a high speed of 2.36GHz with 3GB of RAM. The GPU is ARM Mali-T830 MP2, 2-Cores which will improve gaming and other tasks on the phone. The battery is an inbuilt Li-Poly 3000mAh with fast charging technology with other extra features like a fingerprint scanner, 4G LTE network, Wi-Fi and Bluetooth connectivities options. Price of Huawei Nova 2 Lite. 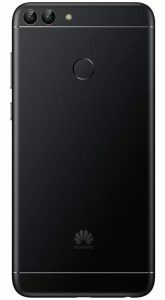 The Huawei Nova Lite 2 price is not officially available but it will sell around $289. In Nigeria, the phone is expected to start selling at a price of 100,000 Naira depending on your location. GPU: ARM Mali-T830 MP2, 2-Cores. Screen size: 5.65 inches FHD+. Screen Resolution: 2160 x 1080 Pixels. Screen Resolution Density: 427 ppi . Display Type: IPS, LCD capacitive touchscreen. 3G WCDMA: Yes, 800 / 850 / 900 / 1900 / 2100 MHz. 4G LTE: Yes, 800 / 850 / 900 / 1800 / 2100 / 2600 MHz. USB port: Yes, Micro USB 2.0 with OTG. Music Player: WAV, AAC+, OGG, FLAC, MIDI, WMA, M4A, MP3, AMR, AAC, eAAC+. Video player: 3GP, M4V, H.263, H.264, MKV, AVI, xVID, WMV, FLV, MP4, H.265. Navigation: Yes, with GPS, A-GPS. Capacity: 3000 mAh Li-Poly (Lithium Polymer). Browsing Time: up to 7 hours. Music Play Time: up to 28 hours. 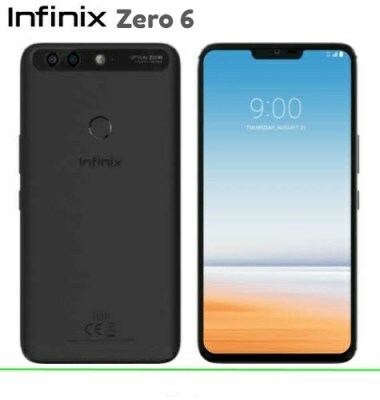 Infinix Zero 6 Pro Price, Specs, Features and Review. 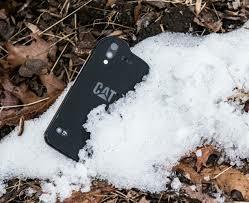 Cat S61 Price, Specs, Features and Review.